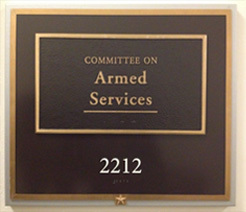 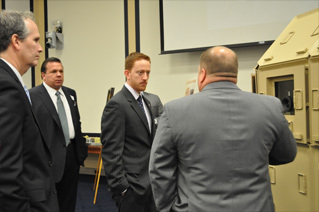 DDM demonstrated McCurdy’s Armor® in the House Armed Services Committee at the Rayburn House Office Building in Washington D.C. on November 27, 2012. 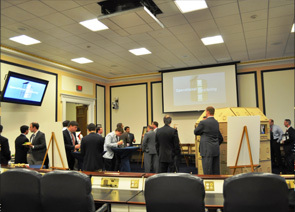 Over 60 Congressional staffers and military personnel from multiple districts and branches of the military attended the event, many of whom were introduced to the McCurdy’s Armor® product and history for the first time. 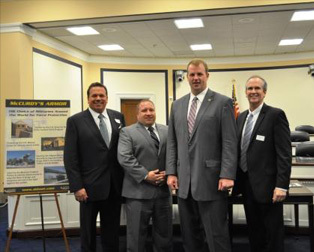 Local Congressman Jon Runyan was in attendance, pictured in the photo above with DDM members Robert Lipinski (CEO), John Yarsinski (CFO), and Joseph Dimond (GM/Director of Sales).